In your shop or home, there is no faster or easier way to create a work surface or hang a shelf than by installing FastCap SpeedBraces. 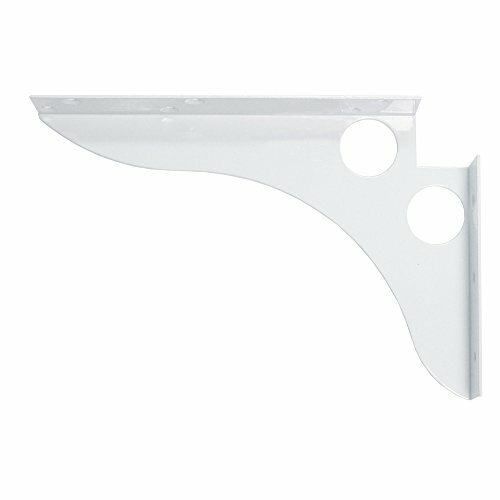 They are simple to install and level with conduit holes to run cables and cords making them ideal for that extra computer station or sewing table. They utilize folded steel construction for extra strength and stability making them ideal for creating extra work space in the shop. Each pair of SpeedBraces has a load capacity of 1000 lbs. (per pair on 16" centers.) Sold individually. If you have any questions about this product by Fastcap, contact us by completing and submitting the form below. If you are looking for a specif part number, please include it with your message. National Hardware N215-533 4062BC Solid Flat in Plain Steel, 3/4" x 48"